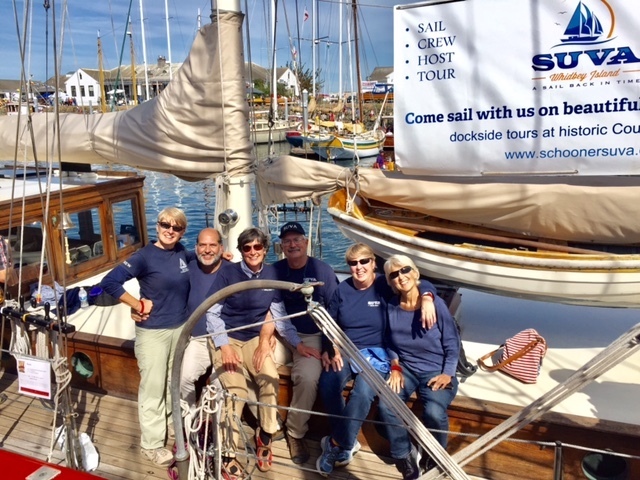 There are many ways to support or participate in the events of the schooner Suva. The best way to support Suva is to become a member of the Coupeville Maritime Heritage Foundation. Your membership will help support the Maritime Heritage of Coupeville through our historic vessel, a 92 year old old-growth teak schooner designed by Ted Geary and built for local resident Frank Pratt in 1925. There are many levels of membership, and by becoming a member, you will be kept abreast of all Suva happenings and events, and invited to the annual “Love Me tender” valentine fundraiser! As part of your CMHF Membership, during Suva’s sailing season (June – September) all CMHF members are entitled to a free cruise aboard Suva on alternating Thursday evenings. You can JOIN HERE! After joining, you can choose to participate more by becoming a member of the Steering Committee or the Board of Directors, and help guide Suva into the future. 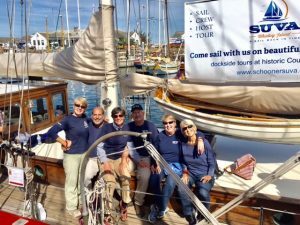 Want to become a crew member and help sail Suva? After joining the CMHF, visit our Crew Membership page to find out how! No sailing experience necessary! Just a willingness to learn and be a part of history. Positions are now open for Deck Hand to First Mate, Captain, and Dockside or Sailing Host. Business Memberships are available also. 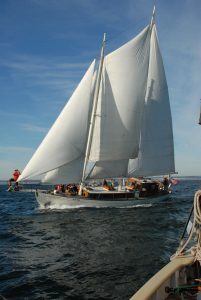 Business members receive a chartered sail or a discount code for tickets, depending on level of support, and links on our website to promote our partners..
Also, consider a donation for general support or to fund a specific project! Visit our Sponsors/projects page. Or, to simply donate, use this button! We are a qualified 504(c)(3) nonprofit, so all donations are tax deductible!